Look as young as your daughter in this girly mother of the bride dress. This dress has thin spaghetti straps and an asymmetrical hi-low pattern. 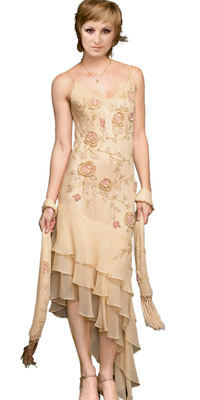 The whole dress has floral embellishments and it comes with a stole.